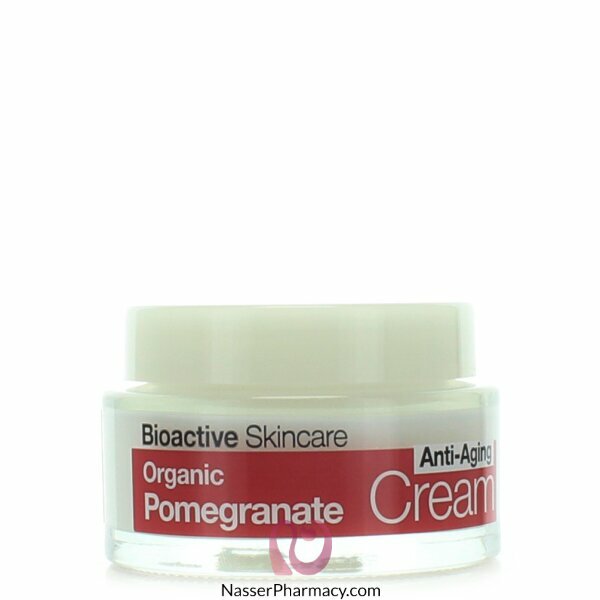 Using bioactive organic Pomegranate seed oil ensures that the powerful antioxidant properties found in this anti-aging 'Superfruit' are maximised and protected. Combining this fruit extract with a complex blend of Co-Q10, plant oils and other organic bioactive ingredients, this light absorbent cream is a rich source of phytonutrients, antioxidants and vitamins. Helps rejuvenate the skin leaving it visually smoother, beautifully soft and naturally protected.